= Sumimasen. Soko no omocha, hashi kara hashi made zenbu kudasai. = Excuse me. May I have all the toys, from one end (of the shelf) to the other. To buy a large amount of things such as a series of comic books, snacks with little figures, etc. that you couldn’t afford to buy when you were children and make that dream come true. = I bought these in bulk! 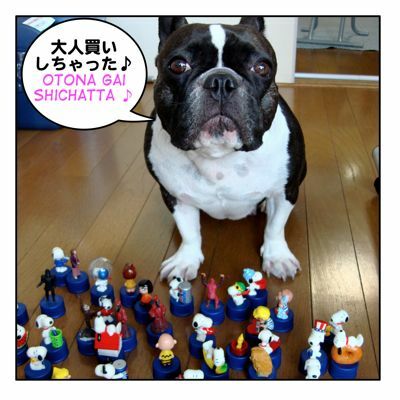 まとめ買い ( = matome gai ) alsomeans buying things in bulk but 大人買い ( = otonagai ) implies buying relatively cheap and childish things. 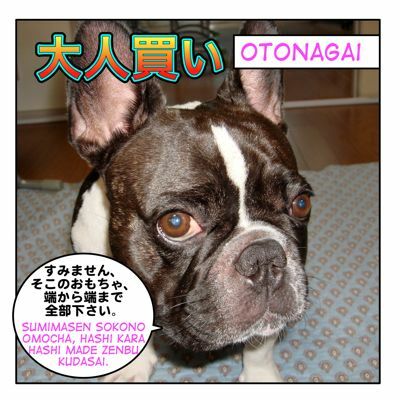 However, some people use this word,　大人買い ( = otonagai ) to refer the way you buy a lot of expensive things without worrying about the cost. = Otonagenai mane wo shinaide! = Don’t be a child! Go check っぽい= ppoi lesson! = Saikin nanika otonagai shita? So, have you done “大人買い” recently? Haha, it’s correct!! Enjoy your chocolates!! !